The Malwa belt of Madhya Pradesh lies in the western part of the state with Ujjain as the ancient centre and Indore, currently the largest city. The most interesting aspect of the folk music traditions of the area are the Bhajan mandalis that sing words of the mystic poets, especially Kabir, Meera, Surdas and others. The spirit of the 15th century saint, Kabir, lives on. His words are alive and his philosophy is thriving through the many local groups of musicians here. Almost every village has a team of musicians who sing through the nights on a regular basis. 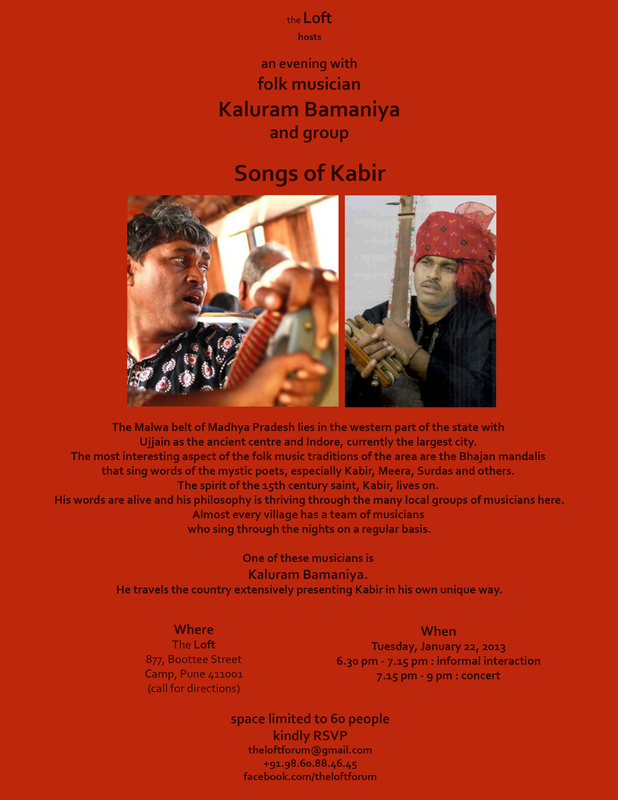 One of these musicians is Kaluram Bamaniya. He travels the country extensively presenting Kabir in his own unique way.